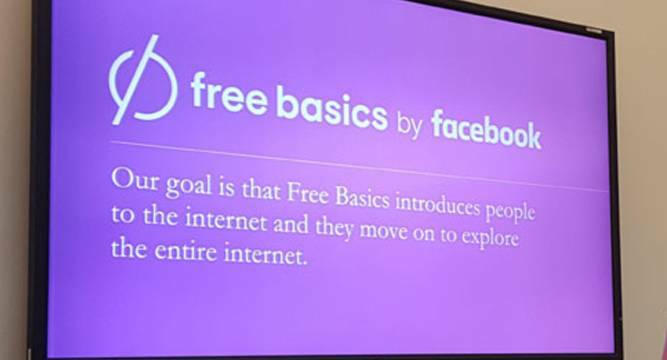 India’s startup community has joined the ongoing clamour against Facebook’s Free Basics program. A total of 9 influential startup founders have written to TRAI voicing their concerns about Facebook’s move. These include CEO of Indian unicorn startups Flipkart, Paytm and Zomato. The letter begins by touting the free and open nature of the internet as a crucial requirement for the success of startups such as Google, Facebook and other Indian startups. 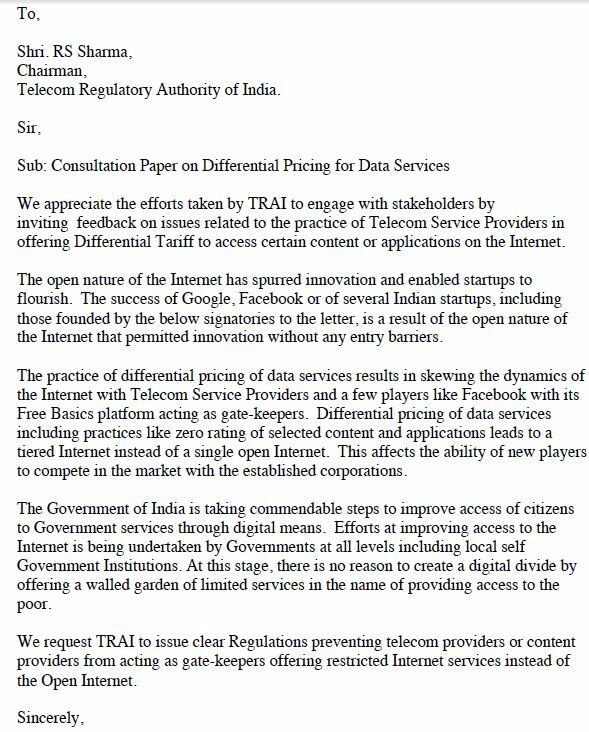 The letter then goes on to attack Facebook’s differential pricing in its Free Basics program, saying that it affects to ability of new players to compete. India has seen a vocal protest against Facebook’s Free Basics initiative, with a popular online campaign that educated people to the pitfalls of Facebook’s move. On its part, Facebook has responded with a multi-million dollar marketing blitz that promoted Free Basics through TV commercials, full-page print ads, online campaigns and even on-road promotional trucks. Facebook claims that its initiative is altruistic in nature and will help the poor and disadvantaged in India. Facebook’s share price has risen 1.5 times this year. Nine CEOs cosigned the letter, including Alok Agarwal, Cofounder and Business Head at Teesort.com, Bharat Gulia, Cofounder, Metis Learning, Deepinder Goyal, Founder and CEO, Zomato, Faisal Farooqui, Founder and CEO, Mouthshut.com, Manish Vij, Founder and CEO, SVG Media, Sachin Bhatia, Cofounder and CEO, TrulyMadly, Vijay Shekhar Sharma, Founder and CEO, Paytm, Vineet Dwivedi, Founder and CEO, FlipClass.com and Vishal Gondal, Founder and CEO at GOQii.